Human Solutions' Family Center is home to 150 plus individuals (including small children) where we strive to provide 3 meals a day year round. 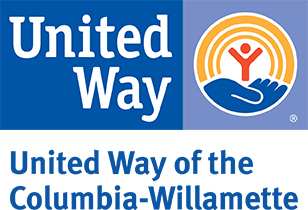 Our Gresham Women's Shelter is home to about 90 women in domestic violence situations and is also a year round shelter where we provide 3 meals a day, and rely heavily on donated food and other in kind donations such as bedding, diapers, feminine hygiene products, and non expired food. This MLK Weekend, help us get the Shelter into tip-top shape by stopping by on Saturdays. Projects will include: painting, building shelves, organizing, cleaning, sweeping, assisting in organizational projects in the office & kitchen, and making our space more livable for everyone! Please wear clothing you don't mind getting dirty and closed toed shoes. Volunteers must be 12 years of age or older to attend this project; any volunteer under age 16 must attend with a parent or adult chaperone.